This is a full service sales and installation fence company. They were established in 1970 as a family owned company and specialize in commercial, agricultural, and residential fencing of most types. Their 2018 Year to Date Trailing 12 Months ended December 31 2018 had 814,832 in revenues and 187,990 in earnings. This will qualify for an SBA loan with a 10% down payment to the bank. A buyer can buy this with only a 60K down payment plus working capital which should be a total of 100K. Their property is for sale separately. The Sales Price was lowered to 550K plus inventory. The sales price INCLUDES their equipment and vehicles. They have approximately 235K in current value assets and 80K in inventory. This has already had a bank look at it that said they will approve a SBA loan for a qualified buyer. The sales price has been lowered to less than 2 1/2 times the 224K in earnings and includes all assets except the inventory and the real estate. The business continues to grow almost every year. In fact, the revenues have steadily grown at 8% a year with the bottom line growing 15% a year for over 5 years now. The risk in buying service/construction/sales companies is whether you will have new jobs post closing and whether you can grow the business. They have an estimated 50% plus in recurring revenue and do very little advertising. They spend less than 2,500 in advertising every year. A buyer will get a business that has both work in progress and work waiting to be done. In other words, this business will not change the day of the closing. This company’s revenues come to them consistently from long term customers that pay 100% of the time and pay in a timely manner. They specialize in the installation of residential and commercial chain link, cedar, PVC, decorative ornamental steel, farm and ranch and game fencing. They also install electric gate operators on residential and commercial gates. 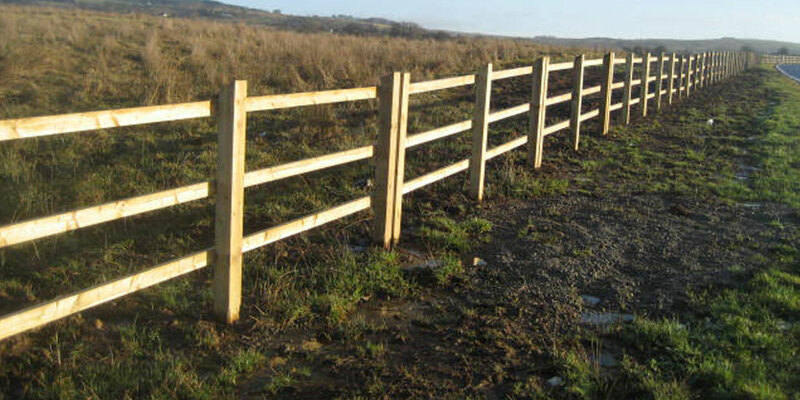 They also do installation and rental of temporary construction fence panels. They also sell to the public at their retail sales office located on the premises as well as fabricate residential and commercial gates in their large shop area. They work with a large number of local and statewide general contractors on local projects and have had requests to work outside the Valley on other projects but have chosen not to because of the local workload and to enable their employees to be home at night with their families. They work with many of the local 14 school districts, two colleges, 20 towns, six counties and state entities, such as Colorado Dept. of Transportation and Colorado Parks and Wildlife. The sellers have stated several times that they could be much larger if they were trying to grow it. They are retiring and have kept the company at a comfortable size for years. No construction experience is necessary.